We have just learned that the Department of State Lands revised the original timber appraisal of the Adams Ridge parcel of the proposed land sale. The state contacted an additional forester and a biologist for opinions on the original report’s interpretation of continuous habitat that needs to be protected due to Coast Range Forest Watch’s marbled murrelet detections in the parcel this summer. 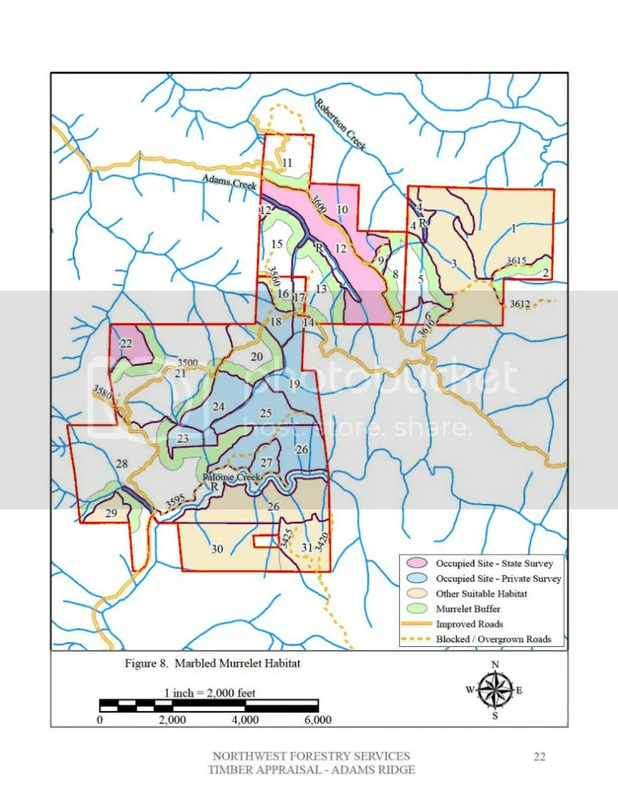 Below is the first map released in the DSL report, followed by the new map released today which blocks out around 200 more acres to the south of Palouse Creek as occupied murrelet habitat. 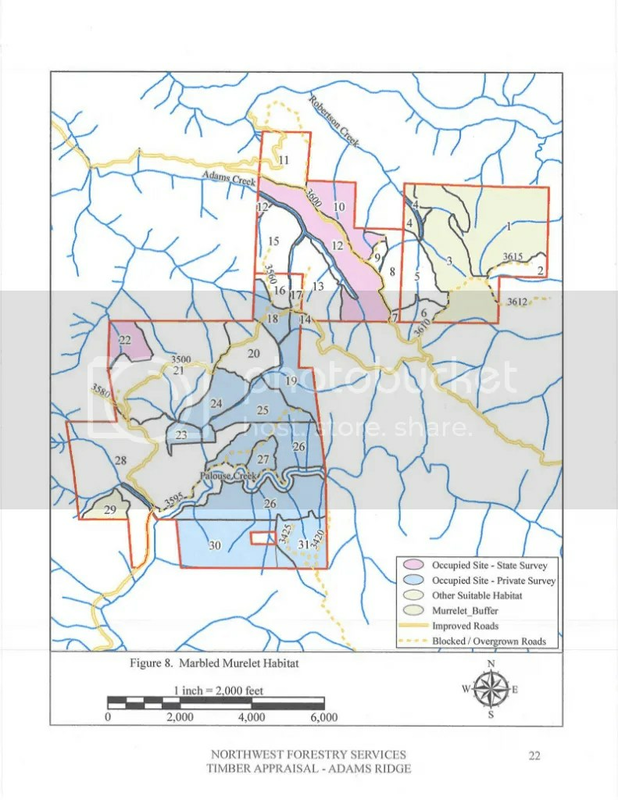 Below is the new map released today, notice the extra blue sections in the south that protect the additional acreage on the south side of the creek. Due to this new interpretation of continuous habitat, both sides of Palouse Creek are protected from logging. This will have a direct benefit to coho salmon as Palouse Creek is one of the most productive coho spawning grounds in the entire Coast Range. This change in occupied site designation has dropped the appraisal value of the timber on this parcel an additional $146,000 to around $731,000. Excellent work folks. Hopefully somebody with some cash and a goal could buy this place, turn it into a local forest wonderland with hiking trails and campsites.